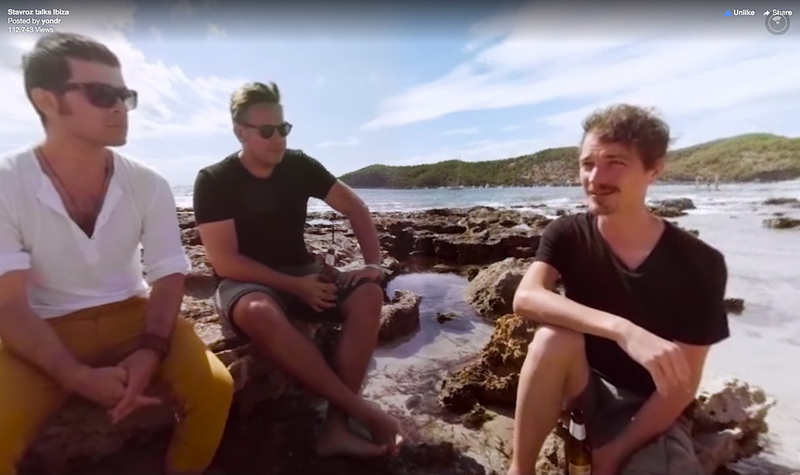 Niels Waem from yondr travelled with his team to Ibiza to interview DJ Stavros, a Belgian DJ/producer who plays WooMoon/Ibiza, awarded best club Ibiza 2016. 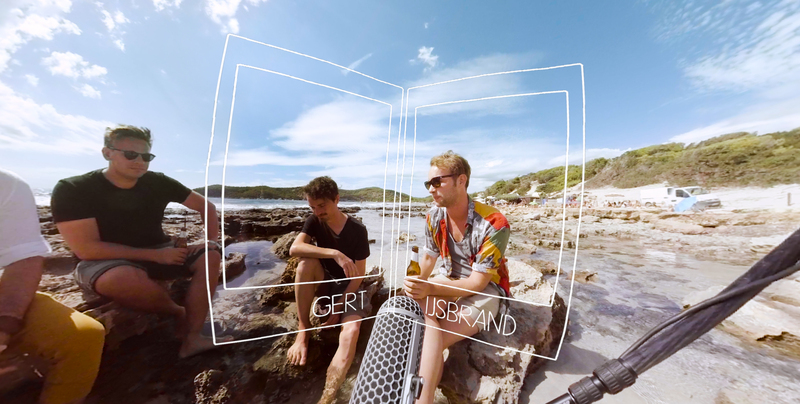 Part travel video, part interview, part hang-out on the beach and talk about life, this immersive experience makes us wish we were there! Stravroz takes us through Ibiza and give more insights about their music, their past, their future and why Ibiza is so magical to them. The backing track on the 360 video is Stavros’ latest single: “Stravroz – To Be In Mara“. 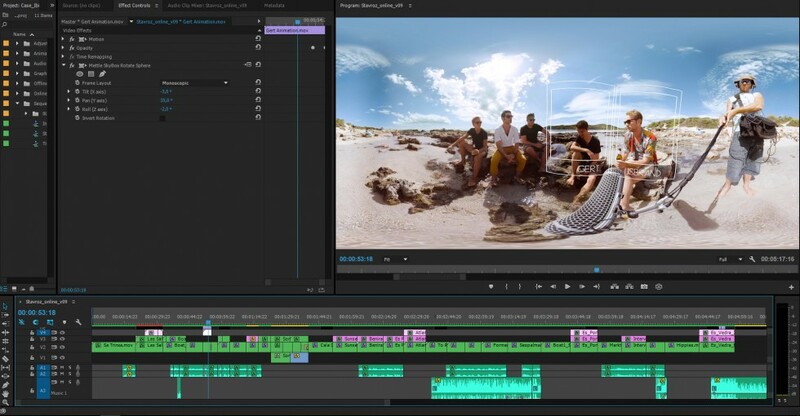 Mettle SkyBox Studio and SkyBox 360/VR Tools for Premiere Pro were used in the post-production. During our post-production we used Skybox Studio to eliminate the camera rig. 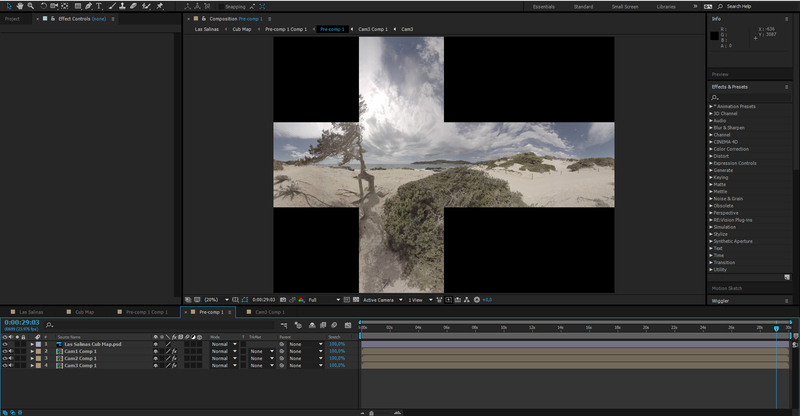 We also used SkyBox Post FX to sharpen our footage, which made a huge difference. We also created 360 animations using the Skybox Creator/Extractor modules, Mettle Skybox Project 2D was used to transform 2D footage into the 360° space. Finally we used Skybox to rotate the sphere to change the focal point of our footage. 2. After rig removal/retouching the cube map, converted back to equirectangular format. 4. Adding graphics over footage in Premiere Pro. 5. Result of (4) in viewer. Yondr is a virtual reality studio based in Antwerp & New York City that is looking to expand further. Their clients include New Balance, Nike, Barco, and Mercedes.